CAREER HIGHLIGHTS Samuelsson joined Volvo as president and CEO in October 2012. He took over after serving about two years as an independent member of the automaker's board of directors. 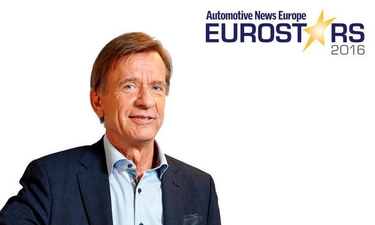 Samuelsson's nearly 40 years of automotive experience includes serving as chairman and CEO at Volkswagen Group truck unit MAN SE from 2005 to 2009. REASON FOR WINNING: Volvo has been on a winning streak since Samuelsson arrived. Last year the automaker sold a record of 503,127 vehicles, which easily exceeded its previous best of 466,000 cars set in 2014. Samuelsson expects to set another sales record in 2016 as Volvo gets closer to his goal of boosting annual worldwide volume to 800,000 vehicles as soon as 2020. Financially, Volvo's first-half operating margin tripled to 6.7 percent, putting it ahead of the 6.4 percent margin achieved by Mercedes-Benz's car division.